Just 17 women out of a total of 966 people, are serving sentences of more than seven years, mostly at Mountjoy Prison in Dublin. File photo of Mountjoy Prison in Dublin. THERE ARE MORE than 1,500 people serving prison sentences of five or more years in Irish jails, according to figures released this week. In response to a parliamentary question in the Dáil, Alan Shatter said that this represents 36 per cent of the total prison population. The figures, provided by the Irish Prison Service, show that 546 people are serving between five and seven years while 966 were sentenced to seven years or more. Of the total, just 17 women are serving sentences of more than seven years, mostly at Mountjoy Prison in Dublin. Midlands prison has the largest proportion of people imprisoned for more than five years with 378, followed by Wheatfield with 238 and Mountjoy’s men’s prison with 230. Apart from the female prisons, St Patrick’s Institution had the lowest number of people serving longer sentences at 10, followed by Cloverhill with 18. 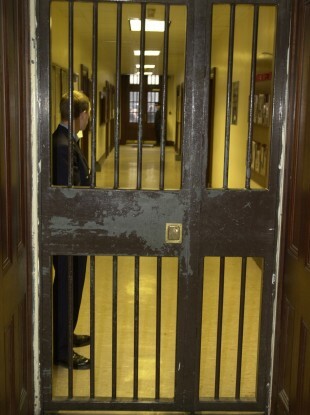 Email “36 per cent of prisoners in Irish jails serving at least five years”. Feedback on “36 per cent of prisoners in Irish jails serving at least five years”.